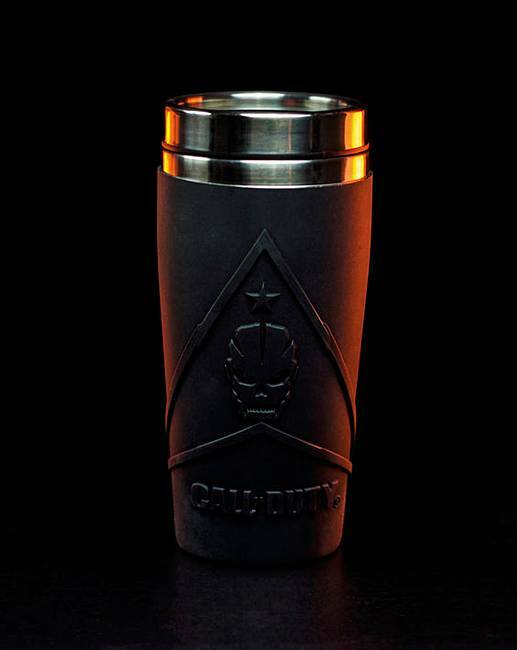 Call of Duty Travel Mug is rated 4.7 out of 5 by 3. 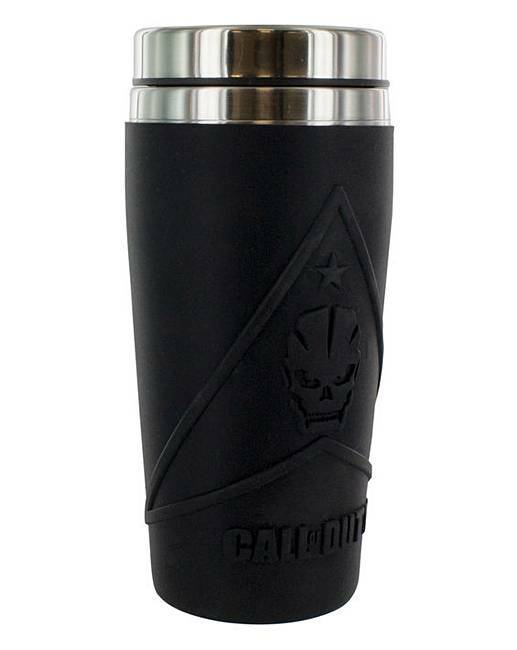 Be ready for your call to action with this Call of Duty Travel Mug. The perfect accompaniment to missions in the field (or just the daily commute), this metal Travel Mug features double-walled insulation to help keep drinks warmer for longer, and a tactile rubber sleeve with embossed design. 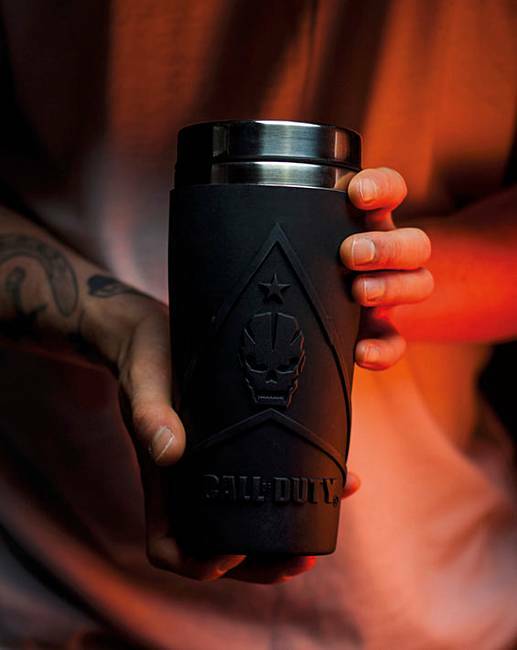 Great for fans of the popular games series, the Call of Duty Travel Mug is an ideal gift solution for birthdays, Christmas stocking fillers or even the office Secret Santa. 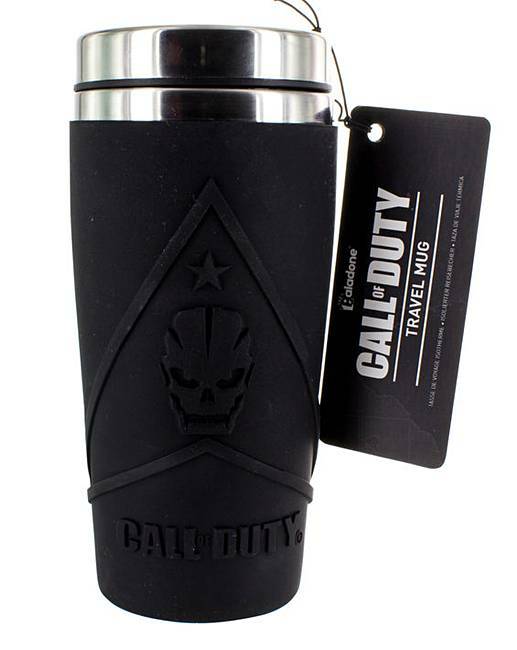 A 450ml (15 fl oz) capacity travel mug inspired by the hit games, the Call of Duty Travel Mug is an officially licensed product. Rated 5 out of 5 by sue from good value this is a christmas present for my son, sure he will be pleased as he uses a travel mug for work. Rated 5 out of 5 by Thelma from Duty Done Bought as a stocking filler for my serving military son, who is a great fan of the Call of Duty games, so it ticks all the boxes. Unfortunately, he has been posted. So it will be sometime in the New Year before he gets to open Birthday and Christmas presents. Great gift idea.